If you have hearing loss you may be at greater risk of an accidental injury at work or at play, according to a recent study. The study, which was published in March, used data from the National Health Interview Survey between 2007 and 2015 to analyze accidental injuries among a cross-section of adults. Accidental injuries were reported by 2.8 percent of adults over a three-month period, and the odds of such injuries were twice as likely among those who had hearing issues. According to the study, hearing loss affects an estimated 16 percent of people in the U.S.
About 16 percent of the adults in the survey reported their hearing as anywhere from “excellent” to “deaf.” The rate of accidental injury increased from 2 percent among those with excellent hearing to about 5 percent among those with hearing problems. Injuries were listed as driving, leisure or work-related. The rate of leisure injuries increased from .8 percent among those with excellent hearing to 1.4 percent among deaf adults, suggesting that people with moderate or severe hearing loss are more likely to get hurt while playing sports or engaging in other leisure activities. Those with good hearing or only a little trouble hearing had higher injury rates at work than those who were deaf. Mahboubi suggested that someone who has hearing loss might be more aware of dangers on the job and less likely to get injured. 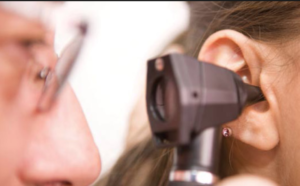 Surprisingly, those with minor hearing problems were more likely to suffer injuries than those with more severe problems, which Mahboubi called an “eye-opening” result. Because the people surveyed reported their own degree of hearing loss, Mahboubi said, the information is subjective. But he said the results were enough to show the relationship between hearing loss and accidental injury. Improving your hearing will not only help you reduce your risk of injuries and accidental falls, it will improve your relationships and quality of life! If you think you have hearing loss, check our directory to find a hearing healthcare professional in your area.